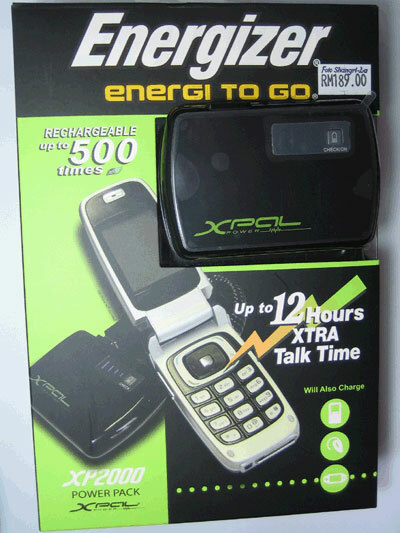 When I was in KL for PayPal Power Up party 2 weeks ago, I went to Low Yat Plaza and bought myself a Energizer XPAL Power XP2000. It’s a compact rechargeable backup battery for mobile devices, such as mp3 player, mobile phone, digital camera, PSP or even bluetooth headset. I like the idea of having multiple tips provided free in the package as I’m now having one backup battery solution for all my mobile devices. No more frustration whenever my mobile phone or camera is running out of battery power. XP2000 has a battery capacity of 2000mAh, so it’s the right model for me because my Nokia N97 is having a 1500mAh battery, which usually will last me 3-4 days for normal usage without recharging it. When I’m on the go I use the mobile phone very often, to online, check emails, view maps on GPS, listen to songs/radio, taking photos, etc. The battery drains pretty fast especially when I’m using its A-GPS, 3G or Wi-Fi, so I can’t really enjoy taking photos with flash or listening to songs as I always have to worry how long the battery will last. In order not to limit myself in this use-this-or-that situation due to the battery constraint I suppose XPAL Power backup battery is the best solution. XPAL Power is not a replacement battery for the mobile devices, instead it charges the devices like your normal charger. Therefore, you don’t have to open the mobile phone or camera case and replace the battery. This is another plus point I like. Package contents can be downloaded here (PDF file, 883KB). Apple – for iPhone or iPod Touch. Mini USB – for phone like N97, E72, etc. Nokia – for Nokia N-series phone, etc. 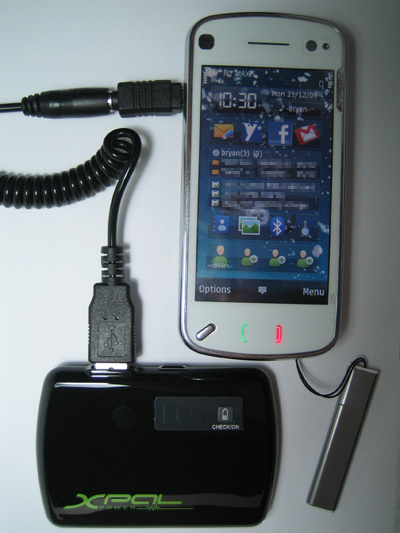 Micro USB – for digital camera, etc. Samsung – for Samsung phone. LG – for LG phones. I was surprise that there’s no tip for Sony Ericsson phone but no worries, because XPAL Power offers free tips for life. However, you’ll need to pay for the shipping/handling fee of RM14 each. The free tips will arrive at your doorstep in 5 working days. There is a limit of 2 free tips per year, so I’m still thinking whether to order mine before the end of the year. 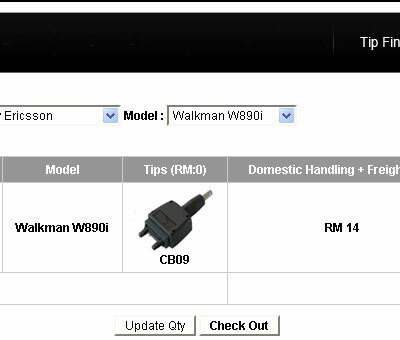 As you can see the tip is free, but there is a shipping/handling fee of RM14. To be entitled for the free tips, you’ll need to register the product within 14 days of purchase. 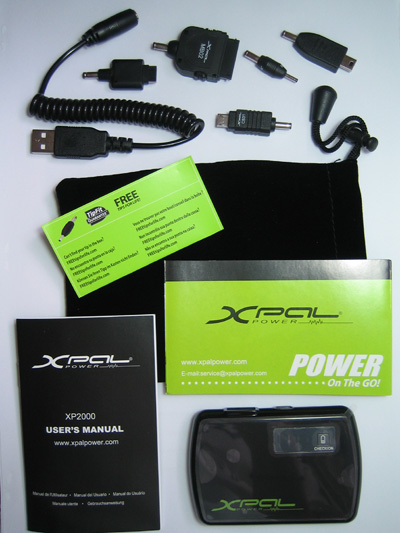 The first charge for XPAL Power XP2000 must be 8 hours+, the subsequent charge will take about 4 hours for a full charge. The only way to charge XP200 is through a USB port, so it’s kind of inconvenient if you do not have a laptop of PC with you. I did the first charging test on my N97 and it took about 2 hours to full charge the phone. After charging, XP2000’s power gone completely drained and the N97 was fully charged. Not bad for the first test. One backup battery for many mobile devices. Light (71g or 2.5oz) and compact. You can actually charge this XP2000 through a wall plug if you get a Dynex dual USB AC Charger with a DC 5V output.